Nasir Hossain and Anamul Haque grabbed the spotlight as both scored double hundred in the third day of final round of WALTON loT SMART FRIDGE National Cricket League 2017-18. Barisal-Rangpur match is poised for a draw as Rangpur Division ended the day with 235 runs first innings lead. Nasir remained not out on 270. Dhaka Division are fighting to save the match against Khulna Division. At the end of the day, Dhaka are 177 runs behind to avoid innings defeat with 6 wickets in hand. 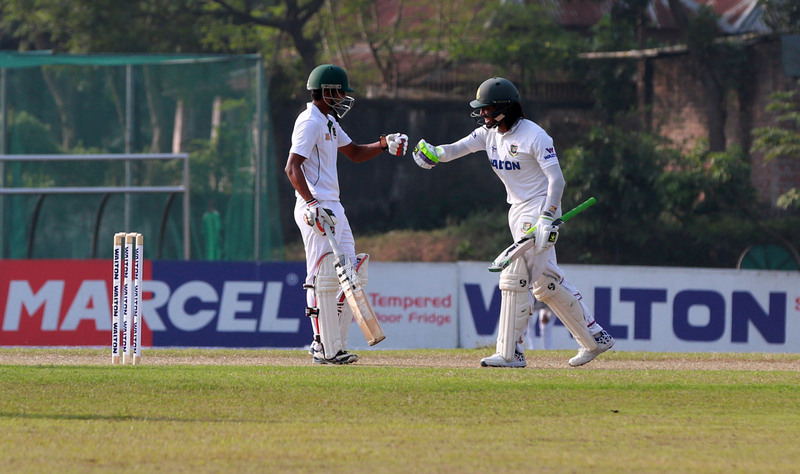 Earlier Khulna declared their first innings on 459 for 8. Anamul Haque was dismissed after scoring 202. Tier 2 match of Dhaka Metro and Rajshahi Division are also set for a draw while exciting finish awaits on the match between Sylhet Division and Chittagong Division. Sylhet need 381 runs to win the match in the final day and Chittagong need 8 wickets. Venue : Bangladesh Krira Shikha Protisthan (BKSP), Savar. Venue : Sylhet International Stadium, Sylhet.